Dr. Jon Burroughs, president and CEO of The Burroughs Healthcare Consulting Network, Inc., kicked off CPC with an enlightening discussion on shifting the focus of health care to population health. Burroughs presented case studies that illustrated ways organizations are making the necessary changes to move into a population health environment, saying, "The zip code you live in is the greatest predictor of your life expectancy." Dr. Jigar Patel, vice president and CMO at Cerner, introduced Burroughs as the man who knows "the art of the possible." Burroughs showed us the possibilities of population health - including how physicians can provide too much or not enough care, causing risk to patients. "You cannot do population health in a fee-for-service business model," Burroughs said. " You cannot cut your way to success. Build a new, clinically integrated enterprise based upon cost-effective health rather than disease, quality-adjusted life years rather than life years, patients and consumers rather than provides and enterprise - and you will be far more likely to succeed." 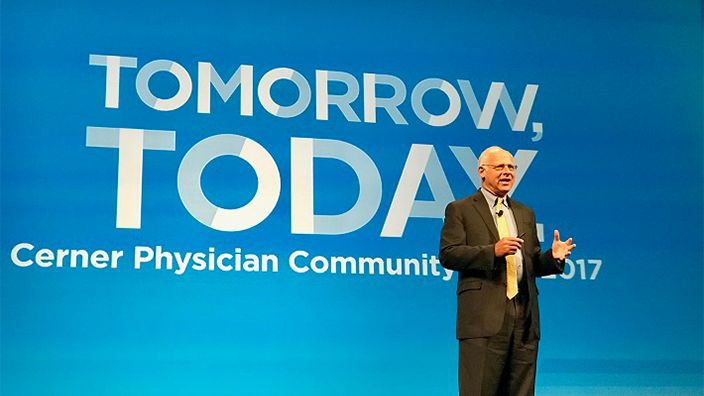 Dr. Doug Dickey, senior director and CMO at Cerner, shared new Cerner solution updates with physicians, including ways to enhance workflows to better provide high-quality care. We also heard from Paul Weaver, Cerner's vice president of user experience, who explained the evolution in usability for clinicians: "Design tools, back in 1995, were literally with index cards and Sharpies. Today, we have prototyping tools that allow components to build out workflows in real time, fully responsive for tablet and mobile," he said. "Cerner's UX will be future-proof, device ubiquitous, safe, consistent and beautiful. There are about 1 million patient portal visits per month and 241 million data exchanges per month. We are headed in the right direction. We will continue to innovate." Step 6: Set expectations regarding training, transition, etc. Jarrett would know - IASIS Healthcare system includes 18 hospitals and 136 physician clinics, and since 2015, they've had several simultaneously deployed go-lives, converting a host of disparate platforms and systems into one unified EHR platform. Something about Jarrett's methods must work, because their go-lives have been a model for success. "I have been through many hundreds of go-lives," said Patel, "and this was one of the smoothest pilots for the physicians I have seen, quite possibly the best." In 2015, Boston Children's Hospital (BCH) sought to optimize electronic documentation of ambulatory clinic visits across the enterprise, with the main goal of increasing provider satisfaction. By collaborating with each clinic, they developed a detailed workflow analysis that led to the creation of clinic-specific mPage design that supports the individual needs of each location. Through a four-phase implementation of these tools, BCH was able to successfully transform the documentation process in ambulatory clinics, effectively reducing the time for note completion as well as transcription. "Quick Orders, this is the Amazon shopping approach to orders," said Dr. Jonathan Hron, a physician and clinical informaticist at BCH, of the new system." 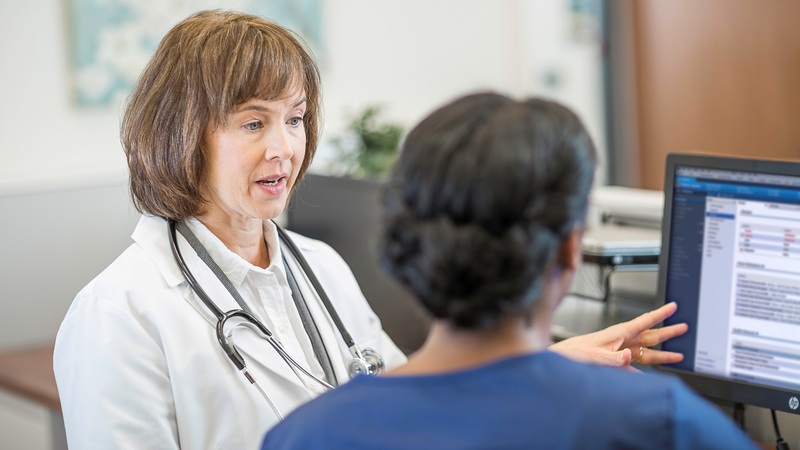 Some of the keys to success for ambulatory optimization: engagement with physicians and early communication with clinics, clinician and leadership. 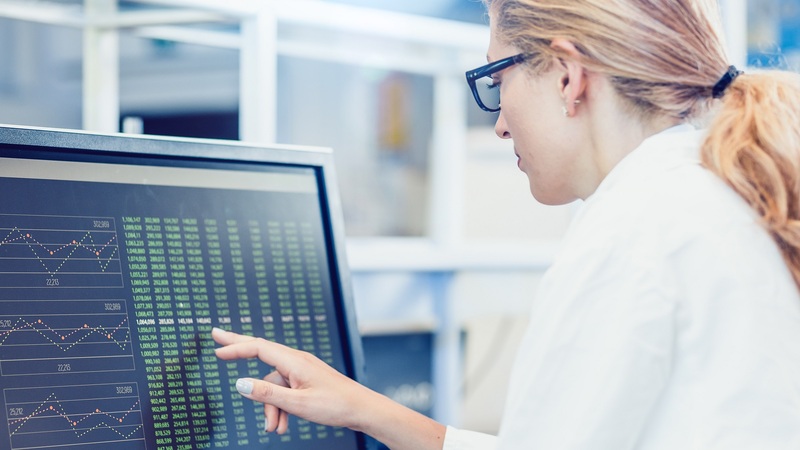 Keeping up with regulatory requirements can be challenging in today's complex environment, let alone executing a comprehensive plan to address them. With the industry moving to value-based reimbursement and many regulatory changes - including MACRA, the Merit-based Incentive Payment System (MIPS) and Comprehensive Primary Care Plus (CPC+) - it can be difficult for health care organizations to know if they're are on the right track. Today, we had an overview of pressing regulatory programs, recommendations for guidance, clinical workflow improvements and tools currently being developed. When it comes to MACRA, MIPS and CPC+, planning a winning strategy is key. Hospital leadership should determine which program best fits their specific needs, and 2017 performance should be closely documented and analyzed to understand decisions for 2018. 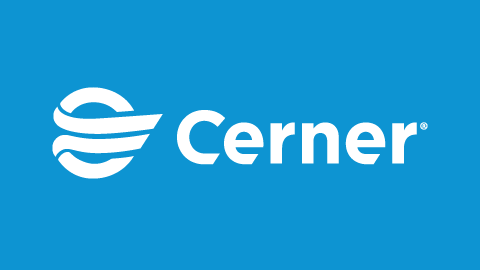 In 2004, West Tennessee Healthcare joined with Cerner to replace its legacy systems. The public, not-for-profit health care system, which serves a population of 500,000 primarily underprivileged and underserved Tennesseans, had previously been using paper charts, as well as a range of incompatible IT solutions. Dr. Karl Misulis, vice president and CMIO of West Tennessee, considered the obstacles to implementation for the system, which was operating with a "shoestring budget." With little room for error throughout the go-live, the teams focused on long-term strategy and managed financial overruns for the rural system. Unexpected costs in hardware were relieved since West Tennessee moved 60 percent of its load to the Cerner data center in Kansas City. By collaborating with Cerner teams, they successfully replaced their legacy systems, installing PowerChart, FirstNet, Pharmnet, PowerChart Maternity, Pathnet/CoPath and Ambulatory. When overseeing a go-live with financial limitations, preparation and timing are of the utmost importance. Misulis discussed how hospital administrators should consider a mock go-live to help the physician and nursing teams anticipate temporary obstacles in the workflow due to educational obstacles. He also advised post-implementation assessments, which can provide valuable lessons that can provide cost-saving improvements to workflow and identify organizational shortcomings that could prove problematic in the future. Over the last several years, attitudes toward telehealth have evolved dramatically. Dr. Peter Antall, the CMO at American Well, presented powerful statistics from recent studies: Today, 66 percent of patients say they're willing to see a doctor through telehealth and they'd prefer it. Additionally, 1 in 5 consumers would switch to a new primary care physician to have telehealth visits. Telehealth has seen incredible growth in the last 3-4 years, and by 2024, the amount of online doctor visits will be equivalent to brick-and-mortar visits. "What do people love about online doctor visits?" asked Antall. 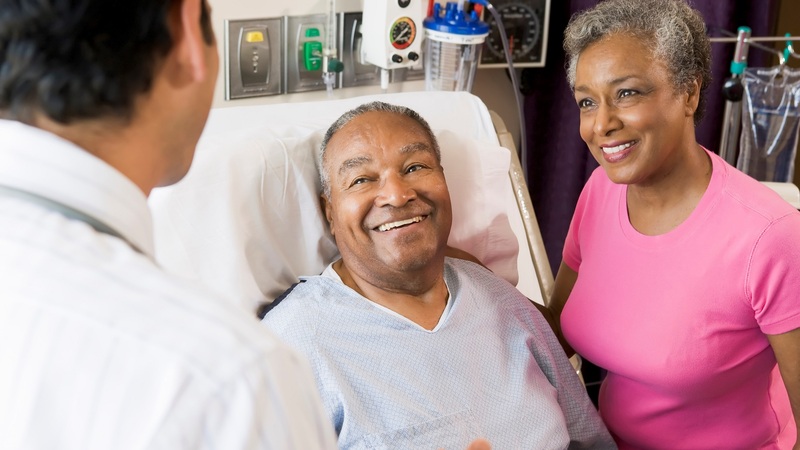 "It fits their lives and increases patient satisfaction. A lot of health care is still about faxes and pagers, and we see this as a deterrent to patients." Antell also discussed how American Well is collaborating with Cerner to develop a telehealth portal from the Cerner Millennium console, so that a physician can log in and see patients in a virtual "waiting room" and can document or prescribe within that console. Lacey Alvarez, a population health practice manager at Truman Medical Centers, discussed how remote patient monitoring and continuous surveillance has improved outcomes for patients in their population. "Success means more than just devices and data,"" she said. "In addition to home-based monitoring, we focused on engagement, health literacy and understanding where the patient was vulnerable. 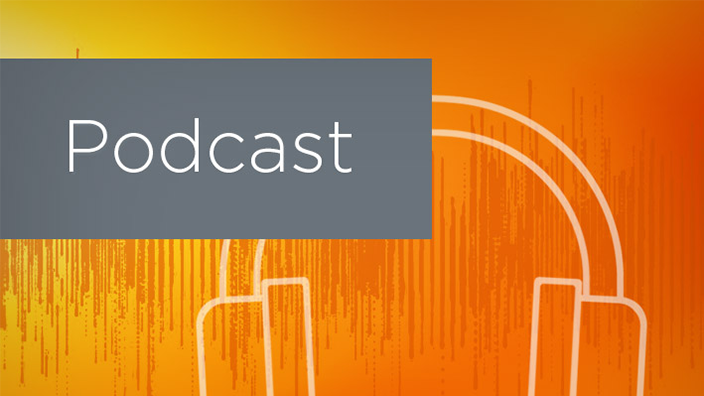 We're people taking care of people, and if we want to have an impact, we have to recognize that our patients have a lot of things going on in their lives that we're competing with." Although the 2017 Cerner Health Conference officially begins on Monday, Oct. 9, the pre-conference festivities have already begun in Kansas City. Join the conversation using #CHC17. Together, we can build a healthier tomorrow, today. Cerner associates from around the world also gathered at Innovations campus to explore the facilities and discuss how to improve our ever-growing global footprint. Finally, industry professionals gathered for the Revenue Management Symposium networking event.